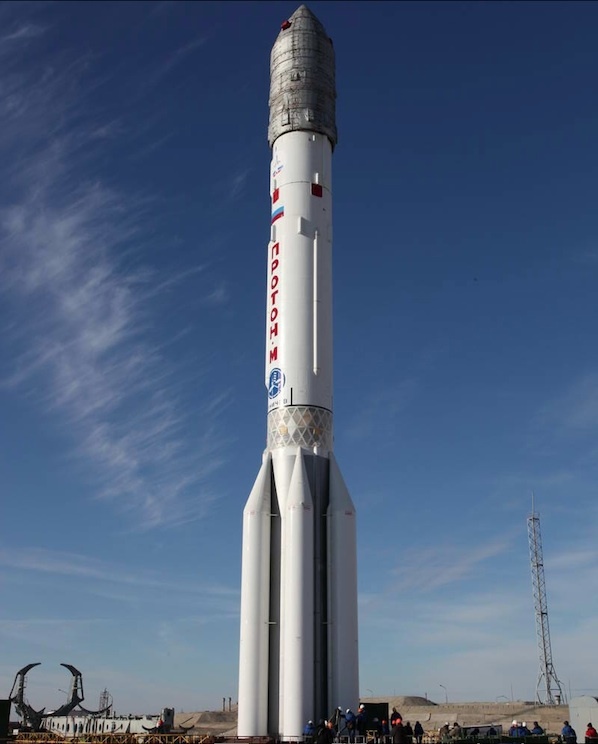 Proton-M rocket on launch pad at Kazakhstan, cosmodrome. Roscosmos photo. 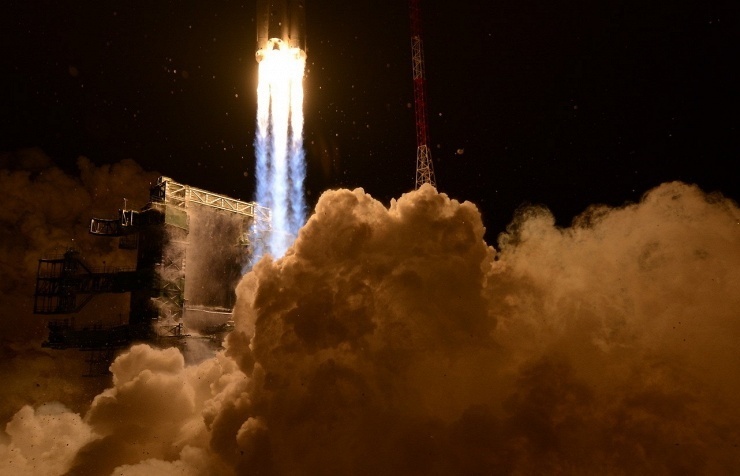 Russia launched a Proton-M rocket carrying three GLONASS-M satellites from the Baikonur space center at 16:51 Moscow time [12:51 GMT] on Friday (November 4, 2011) after a 24-hour delay due to technical reasons, a spokesman for the Federal Space Agency Roscosmos said. 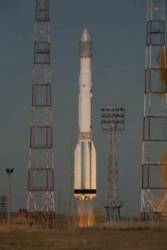 This was first launch of a Proton-M rocket with GLONASS satellites from Baikonur since a failed attempt last December. That led to the dismissal of several top officials in the Russian Federal Space Agency (Roscosmos) and industry and the appointment of Vladimir Popovkin to head the space agency. The launch was postponed for a day on Thursday after a malfunction of the switching network was detected during a check of the ground-based equipment at the launch pad.